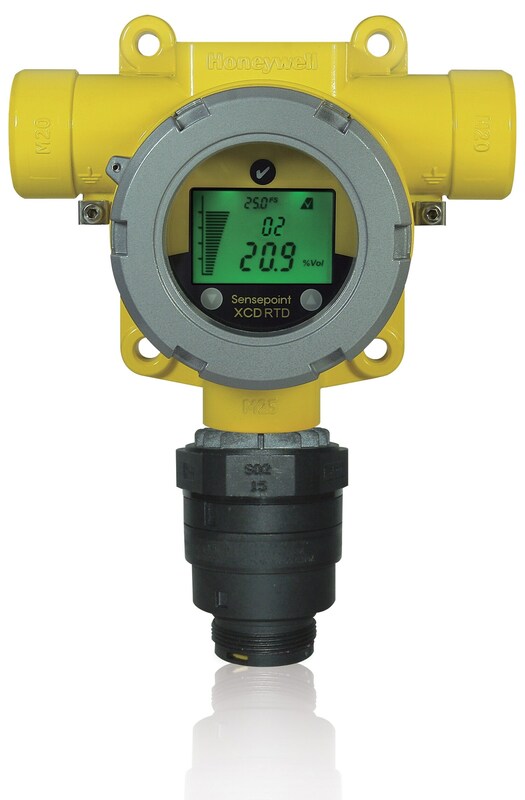 Sensepoint XCD RTD from Honeywell Analytics makes it easy on your maintenance team, time and budget when faced with the challenge of monitoring toxic gases in Class I, Div. 2 areas. You can mount the unit up to 100 feet from the transmitter to obtain maximum gas detection coverage in areas not easily accessible or where the sensor would not be visible, as in high-or low-level concealed areas, or detection outside the room being monitored. XCD RTD offers unrivaled flexibility and performance via its easily recognizable display (traffic light pattern) to convey safety status, communication and mounting options, and onboard diagnostics. Get More Return on Investment from the Practical Advantages of XCD RTD. Sensepoint toxic and oxygen sensors detect a wide variety of industrial gases at common measuring ranges, adding flexibility to your gas monitoring program, reducing your parts procurement costs and expanding your safety net. Remote gas monitoring has never been this easy and cost-effective. Mount the sensor as shown in the illustration and view gas safety status via the large tri-color display on the transmitter, up to 100 feet away from the sensor. The advantages of this remote monitoring system are added safety, and reduced time spent on maintenance. There’s no need for your team to climb ladders or bring in specialized equipment to view gas concentration readings or to conduct a safety audit. What’s more, the removable sensor design of Sensepoint XCD RTD cuts downtime and eliminates the need for specialized training.